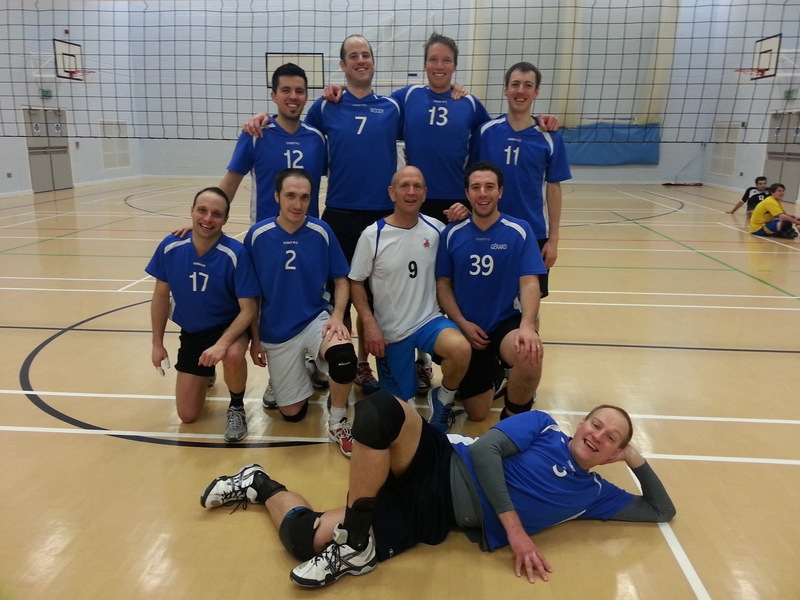 On Sunday 24 February, Men 1 travelled again to play in the BVA league – this time to Newbury to play Basingstoke and Newbury. Squad: Rune, Jeremy, Roberto, Jon, Gareth, Gerard, Gabriele, Jamie, Martijn. Basingstoke sit down at the bottom of the league, and we showed them why. Despite their low level, we kept ours at good heights and made few mistakes. With a display of good defence and recycling of the ball, we dispatched them easily 25-11, 25-6. MVP: Gabriele. Newbury are top of the bottom three clubs and were very keen to show that they deserve to stay in division 1. With our new combination of setter (Roberto) and libero (Jon), we had to raise our level to stay ahead as we went through a well-fought first set. We made a few more mistakes than usual but never got behind in points. First set was ours at 25-22. In the second set we found our next gear, and put more pressure on them, from 12-9 to 18-13, we finished the set 25-17 and another 2-0 victory! MVP: Jamie.